What should we think about when going to Japan? When I’m going to Japan, and especially Kyoto, I like to rent my own traditional townhouse called machiya. Nothing beats that authentic feeling! To be able to get one of those houses during peak seasons like April and October you need to be in good time with your booking. Another reason is that the airplane tickets will be cheaper the earlier you book them. I usually book my tickets at Japanspecialisten which also run campaigns regularly. If you are in good time you have more time to keep your eyes open for travel campaigns! One time we got our tickets for 5 200 Kr / $630 (per person round-trip) during April, that’s a really good price! You don’t need to have a complete travel route day-by-day all planned out, but you can save time and money by knowing which cities to go to and in which order. Then you can calculate if you need a Rail Pass or not. 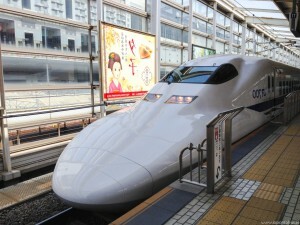 The thing is that you can only buy a Rail Pass before arriving to Japan! Rail Pass is primary used when going between cities with the Japanese bullet train shinkansen, because it’s quite expensive to buy one-time tickets. However, the Rail Pass is eligible on all JR lines, even the city line in Tokyo called Yamanote which goes in a big circle to the major stations. If you are planning to only stay in Tokyo the cost of the Rail Pass will not be worth it. Then you can buy a Suica card instead. Japan offers soo many things to see and do! Just check out the post 101 things to see and do for a taste. Just don’t try to squeeze everything in during your first trip to Japan! It will hurt you more than it will be rewarding. I’ve spent about 3 whole leisure weeks only in Tokyo but still haven’t “seen it all” yet. It is easy to get overwhelmed by Japan because everything is so different. This is a good thing, but my advice is to take your time and explore your surroundings and discover the details. Traveling between cities and switching hotels takes a lot of time and energy as well. Both Tokyo and Kyoto are great places for base camps because it is so easy to make day trips. For example to the 9 small islands outside Tokyo Bay, or the old capital Nara with tame deer just south of Kyoto. The expression cash is king is true in Japan. Japan is a paradoxically country. One one side it is very high tech and on the other side it holds on to it’s long traditions. Nowadays you can pay with credit cards at most of the larger stores and restaurants. But cash is still widely used and you will encounter places which only accepts cash. Depending on your bank the fee for using your credit card abroad varies, so I usually give the advice to change for some yen before the trip. So when you are out and about in Japan, always bring a pile of cash! Don’t worry about walking around with 30,000 yen in your wallet, Japan is one of the safest countries in the world. When you need to refill your wallet with some cash, go to a 7-Eleven. Most ATMs in Japan don’t accept foreign credit cards, except 7-Eleven and the post offices. Due to the Japanese education system Japanese people are not very good at English. They do study it for many years but in a very inefficient manner with the result that they understand more than they can speak. 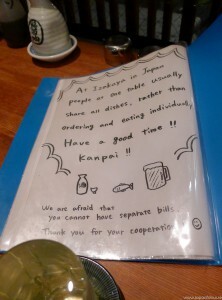 Japanese people are very polite and feel obliged to do their best to help you if you approach them. The results however will vary depending on their English skills, or your Japanese skills… In general the Japanese people are a little bit shy, but if you open up the conversation with a phrase or two in Japanese, the reception will be different! It is always appreciated when a foreigner is making an effort and showing interest in the country they are visiting. And I can promise you that your trip will be so much more fun if you can interact with people!